Mount the GeoSLAM ZEB-REVO – our lightweight revolving laser-scanner – onto your chosen mobile platform such as a vehicle or UAV and pass through your target survey environment to record more than 40,000 measurement points/second. 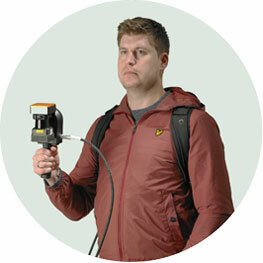 Scanning is made simple with the ZEB-REVO, the revolutionary new handheld laser scanner from GeoSLAM. 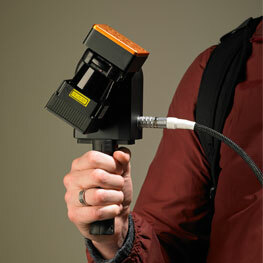 The 100Hz scanner and 360° field of view allows for fast, accurate and high quality data capture.